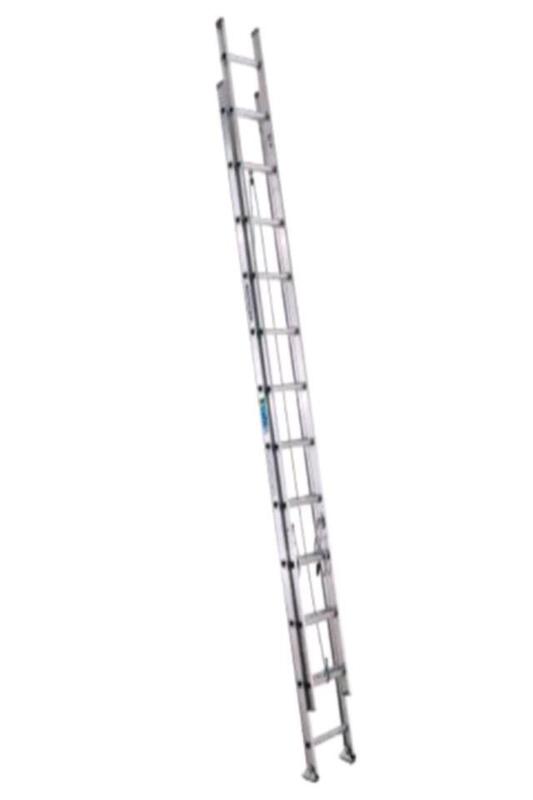 The extension ladder weighs 43lbs with dimensions of 12' X 18" X 6" (WERNER D 1524-2). It has a maximum working length of 21' with 250lb duty rating. Best used for painters to get into high place. Ensure proper placement on ground or floor for safe operation. Must be taken down after every use, and please keep clean (paint off). * Please call us for any questions on our ladder 24 foot extension in Concord, serving all of New Hampshire, including Manchester, Canterbury, Loudon, Hillsboro, and Northwood.